Promote your favorite maritime podcast and win valuable prizes! Support your favorite podcast! Download, print and hang our poster. All readers who take a digital photo of the poster hanging in a public space will receive free gCaptain stickers. Simply email the photo and your address to info @ gCaptain.com The person who hangs the poster in the most interesting place will also receive a FREE gCaptain t-shirt! Haven’t listened to our podcast yet? Visit our podcast page or subscribe via iTunes. 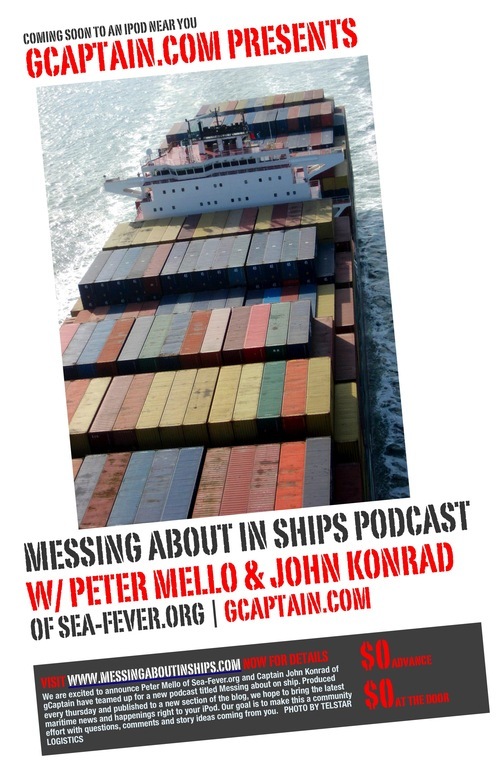 Posted on January 27, 2008 January 27, 2008 Author Peter A. MelloCategories Marketing, new mediaLeave a comment on Promote your favorite maritime podcast and win valuable prizes! Last chance to win an iPod Shuffle and help me win an iPhone! The Sea-Fever iPod Shuffle contest closes tomorrow but you can still be part of it. Go to gCaptain.com Discoverer site and register and vote for your favorite Sea-Fever stories which can be found here. All of the Sea-Fever Contest info and rules can be found at this previous post. My top story is currently in the running for the gCaptainGrand Prize of an iPhone. If you haven’t voted for it yet, please read it; hopefully you’ll enjoy it and vote for it. Thanks for participating in the Sea-Fever contest and helping me to win an iPhone in the gCaptain contest! Posted on September 29, 2007 Author Peter A. MelloCategories MarketingTags contest, iPhone, iPod2 Comments on Last chance to win an iPod Shuffle and help me win an iPhone! The iPod Shuffle that I won last week as part of the gCaptain Discoverer iPhone contest arrived yesterday but it’s not destined to stay long. It’s still in shrink wrap and ready to ship out to a new home. It could be yours by September 30th. Great News – I won an iPod Shuffle! In the off chance that Sea-Fever readers don’t already know, there is a great website called gCaptain.com that has so much interesting and valuable information that it is destined to become the one stop shop for maritime news. One section of the website is called Discoverer which is a maritime version of Digg where you can “discover, share and vote” for your favorite stories. In September gCaptain.com is running a contest with valuable iPrizes. I was lucky to just edge out some other really great contributions for the 3rd place prize and I won an iPod Shuffle. The grand prize is an iPhone. Very cool! Continue reading Great News – I won an iPod Shuffle! 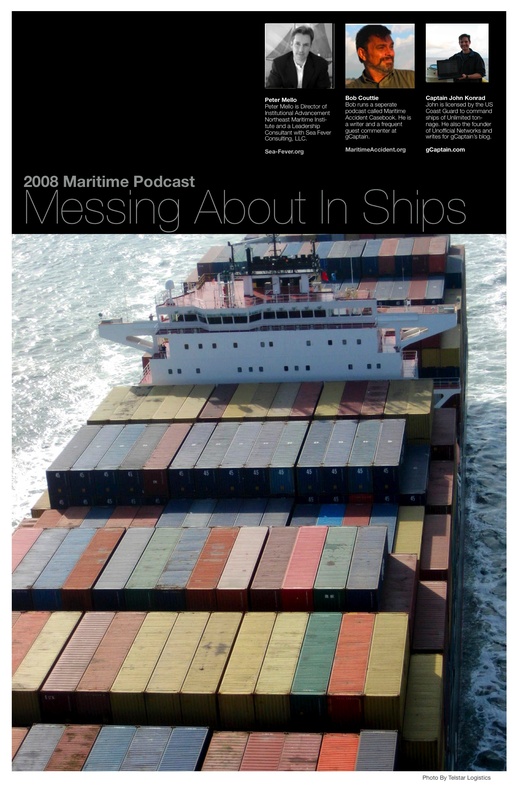 Posted on September 15, 2007 September 15, 2007 Author Peter A. MelloCategories maritime, Marketing, new media1 Comment on Great News – I won an iPod Shuffle!